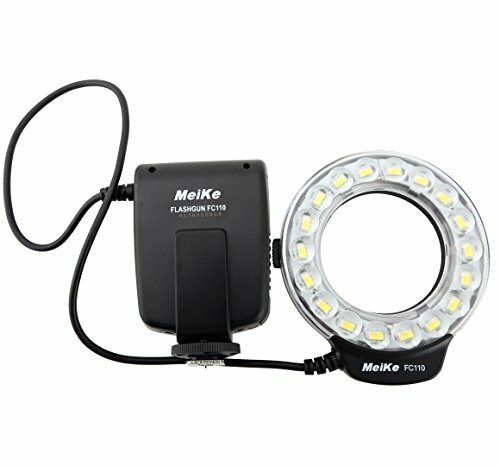 Effectively improve the brightness for supplementary lighting. Provide adequate brightness for macro shooting. 8 power levels,each level has 3 fine tuning adjustment,giving you a more precise brightness output and flexible brightness control. Free option between L/R lamps and long brightness mode to achieve a more vivid visual effect. Equipped with 3200k CT rings,it can helps you obtain the most desirable effects with the correct option of CT part under different environment.